Davide Malacarne (born 11 July 1987 in Feltre, Province of Belluno) is an Italian professional road bicycle racer for UCI ProTeam Direct Énergie. In August 2014, Astana announced that they had signed Malacarne for the 2015 season, with general manager Alexander Vinokourov highlighting his role as a domestique for Fabio Aru. 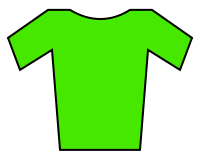 ↑ "Team Europcar (EUC) – FRA". UCI World Tour. Union Cycliste Internationale. Retrieved 2 January 2014. ↑ Farrand, Stephen (1 August 2014). "Transfers: Astana signs Boom, Sanchez, Rosa and Malacarne". Cyclingnews.com. Future plc. Retrieved 3 August 2014.